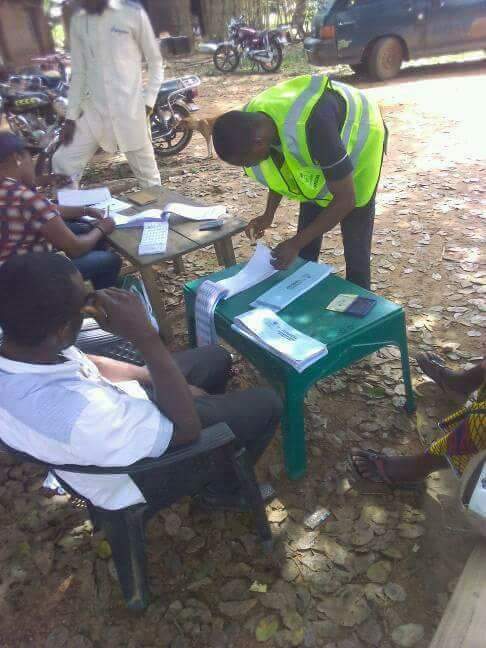 Accreditation of voters has commenced in most polling stations in Ekwusigo Local government Area as armed security agencies patrol the units. So far, in three polling units, low turn out of voters has been recorded as party agents and unidentified politicians buy voters with fiscal cash. In a polling station in Oraifite, identified as Community Secondary School, Ifite Amakom, which houses three polling units, people admitted there was low turn out of voters compared to previous elections in the State. Some group of politicians who arrived the polling station on Jeep, were discreetly sharing N1,000, N1,500 and other denominations to potential voters. However, no voter was seen undergoing accreditation in one of the polling unit(Unit 8) in the station. Also, another polling unit in Ifite Urudunu, Christ Church, was greeted with scanty number of voters as onlookers were either chatting or having fun. In a polling station at Ozubulu junction, the situation appears to be worst than other stations as number of potential voters who arrived for accreditation is not even up to 30. However, the number of Policemen deployed at the Station, surpassed that of the voters in Ozubulu junction. The Sovereign God, who is our Redemer will soon intervene on our behalf. Fellow Biafrans let us continue to pray untill Biafra is actualized. All Hail Biafra!